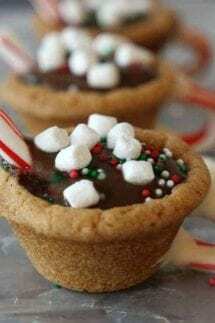 Hot Chocolate Cookie Cups - the best Christmas Cookie Recipe! 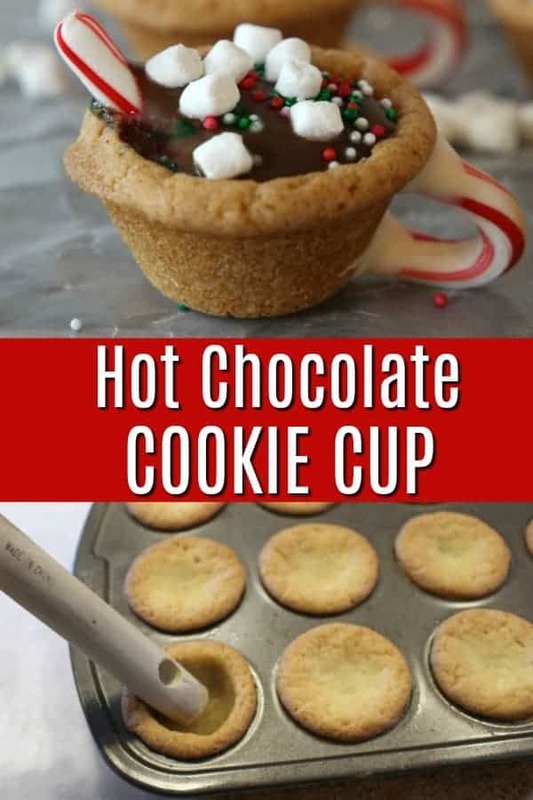 Home » Holidays » Christmas » Hot Chocolate Cookie Cups – the best Christmas Cookie Recipe! These Hot Chocolate Cookie Cups are made with ready to bake sugar cookie dough and pudding cups! They make a fun holiday dessert and are perfect for Christmas parties, cookie exchanges or just to put a smile on someone’s face! Winter can be a drag, but these Hot Chocolate Cookie Cups will brighten up even the gloomiest winter day! Have you ever seen a recipe that you totally inspires you? Well, that is what happened with me with these adorable Hot Chocolate Cookie Cups! The Gunny Sack shared these a few years ago and I couldn’t get them off of my mind. 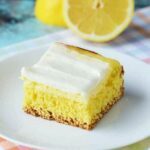 please see the recipe card at the end of this post. Before you scroll, there’s important stuff in the blurb! It doesn’t matter if you use an Elf or a Mensch – Let me help you out with some great Elf on the Shelf ideas that will help get you through the month! What I adore about these Cookie Cups is how easy they are to make! 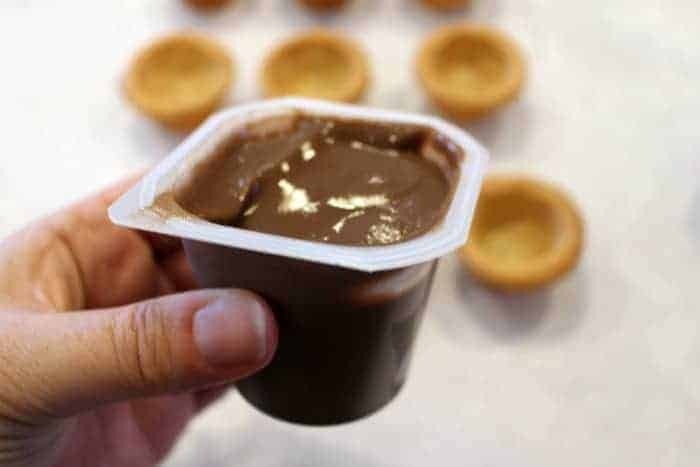 They use ready to bake sugar cookies, already sectioned off into the perfect size and ready made pudding cups, so there is virtually no “cooking” involved…really just assembling! Do you love making cute things for the holiday’s? Like I mentioned, I love to food craft! What is food crafting… my definition is making cute things out of food! 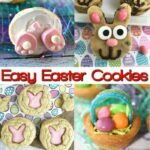 Want to see some of my favorite food crafts? Check out my DIY Peppermint Candy Bowl! These make great gifts for the Christmas! Also, if you need some easy gifts to hand out to friends, co-workers and family. These DIY Candy Cane Sleighs are total winners! They are an easy DIY Christmas gift and really fun to make too! If you know anything about Princess Pinky Girl, then you know that I think of myself as more of an assembler or food crafter rather than a cook. 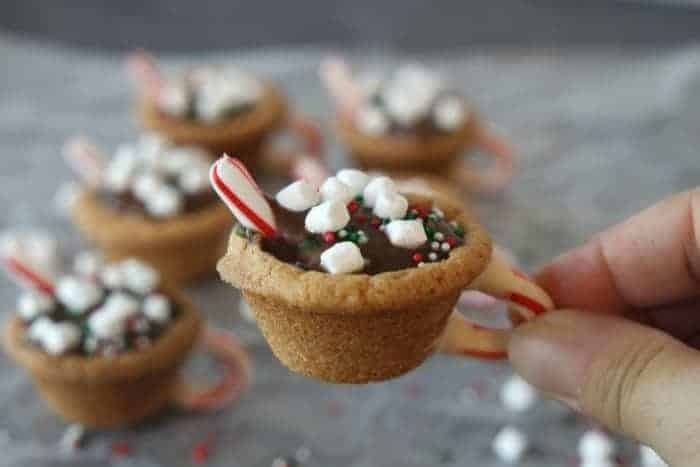 I love to make cute things with food and these Hot Chocolate Cookie Cups are all that and more! To make these adorable Holiday Cookies, you only need about six ingredients. I would recommend making the cookie cups first and then topping them off with the pudding, marshmallow bits and sprinkles right when you are ready to serve them. Don’t worry, though, topping them off only takes a few minutes! 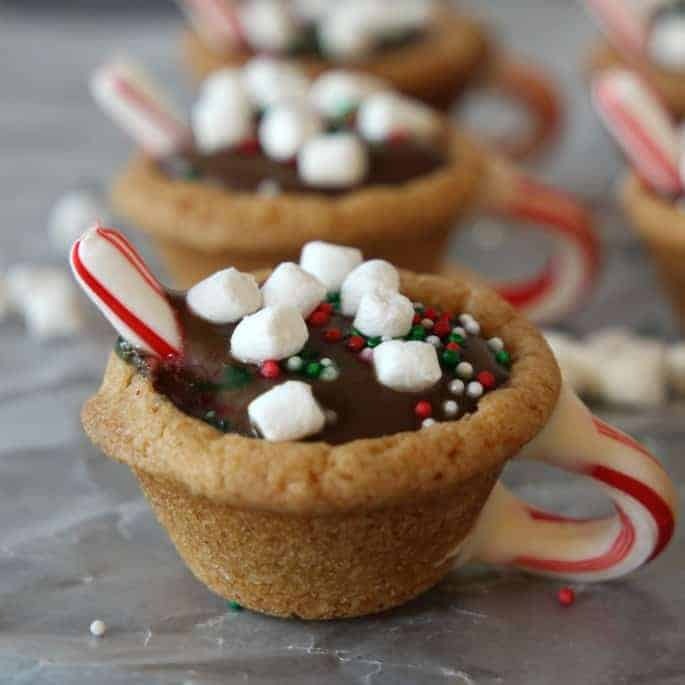 I am telling you that these Hot Chocolate Cookie Cups are perfect for a Christmas Party and will be the envy of any Christmas Cookie Exchange! 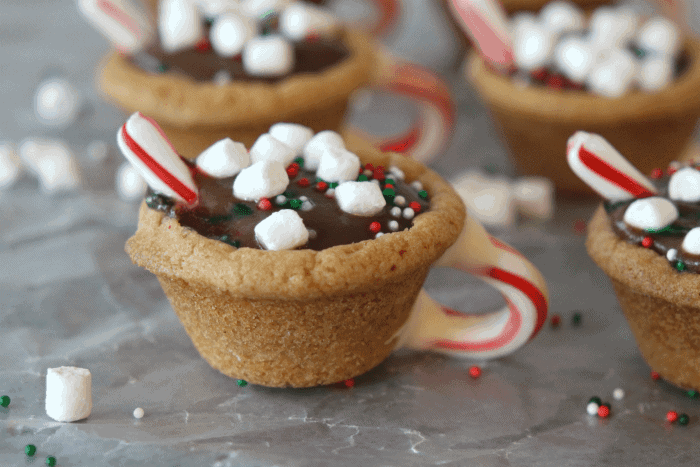 Love this Hot Chocolate Cookie Cups recipe? Tag us! We love to see your creations on Instagram, Facebook, & Twitter! How to make Hot Chocolate Cookie Cups! Preheat oven to 350. Place one piece of ready to bake cookie dough in the bottom of each mini-muffin baking cup. Use your fingers to press the dough up and along the sides of the pan to make a cup shape. Bake for 10 minutes. Immediately after removing the cookies from the oven, take the end of a wooden spoon (or something similar) and gently re-form the “cup shape” by widening the center and flattening the bottom of cup. Place back in oven and bake for an additional 2 minutes. Remove from the oven and let the cookies cool completely. 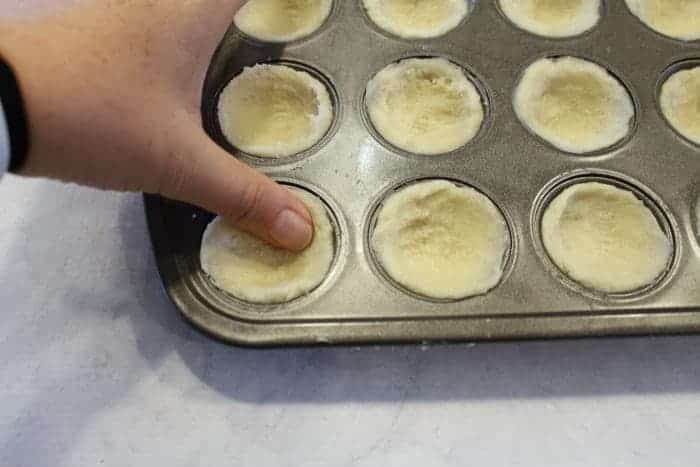 Once cooled, use the end of a knife to gently pop out the cookie cups (you may have to gently twist them, but the should easily pop out). 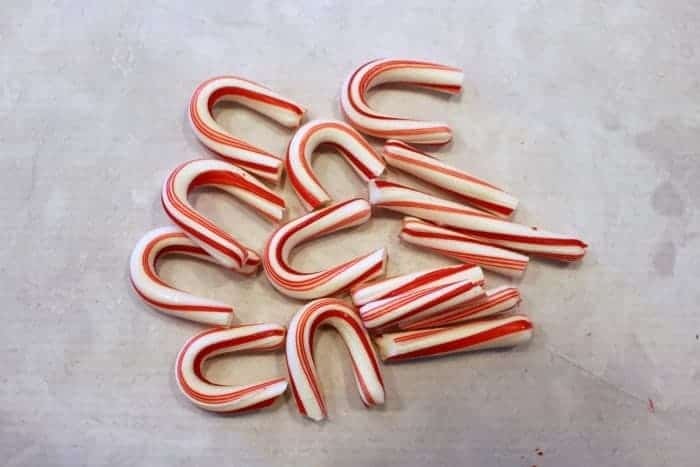 Using a sharp knife, carefully cut the mini candy canes and create a “cup handle” with the curved section and a “straw” with the remainder of the candy cane. Melt the white chocolate. Once melted, dip the end of the curved candy cane piece into the white chocolate and attach the candy cane handle to the cookie cup (see notes if you are having trouble keeping the candy cane handle sticking). Let the handle dry and set. 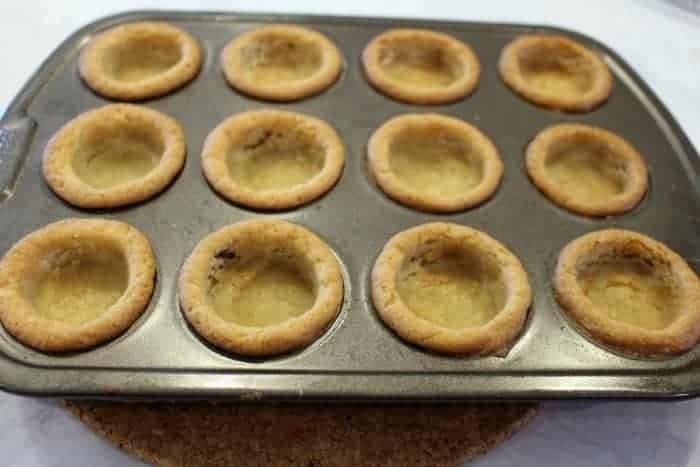 Place one piece of ready to bake cookie dough in the bottom of each mini-muffin baking cup. Using your fingers, gently press the dough up and along the side of the pan to make a cup shape. Bake for 10 minutes. 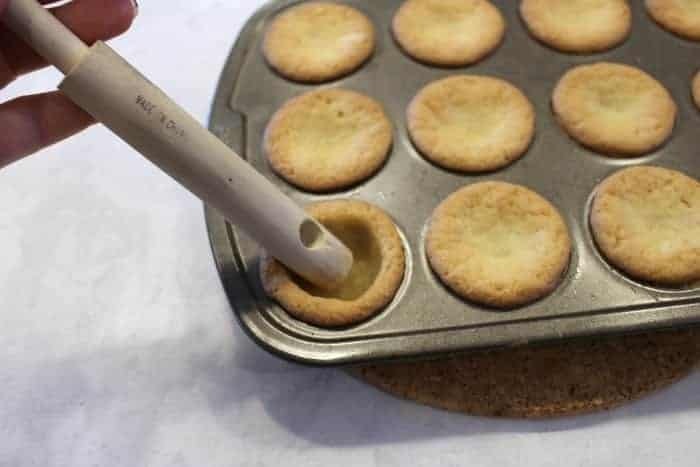 Immediately after removing the cookies from the oven, take the end of a wooden spoon (or something similar) and gently re-form the "cup shape" by widening the center and flattening the bottom of cup. Bake for an additional 2 minutes. 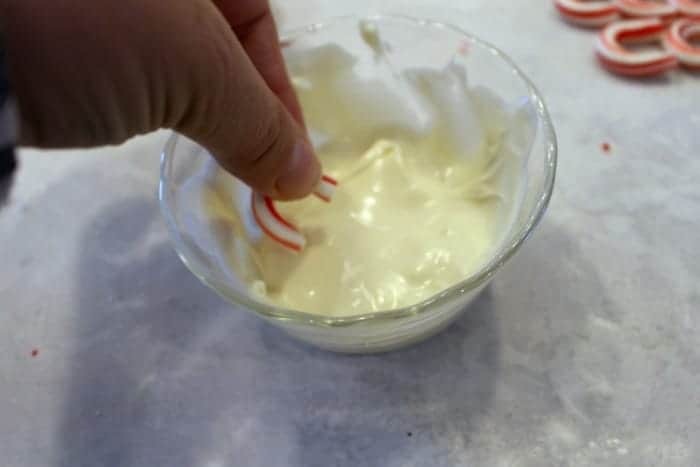 Using a sharp knife, carefully cut the mini candy canes and create a "cup handle" with the curved section and a "straw" with the remainder of the candy cane. Just before serving, spoon chocolate pudding into the cup. Add mini marshmallow bits, sprinkles and candy cane "straw"
If you are not serving the cups right away, wait to put the pudding and toppings in them. Fill them right before serving! NOTE, these are NOT mini marshmallows, but mini marshmallow BITS - they can usually be found by the hot chocolate in the grocery - see link to view product! Regarding the candy cane handle... if you have trouble getting the handle to "stick" to the cup. Follow this tip. TIP: after dipping the candy cane in the white chocolate, hold the handle on to the cup and hold it in your freezer for about 30-60 seconds so the chocolate will set. Once it can stick without you holding it, place it in the freezer for another 1-2 minutes to help it quickly dry! 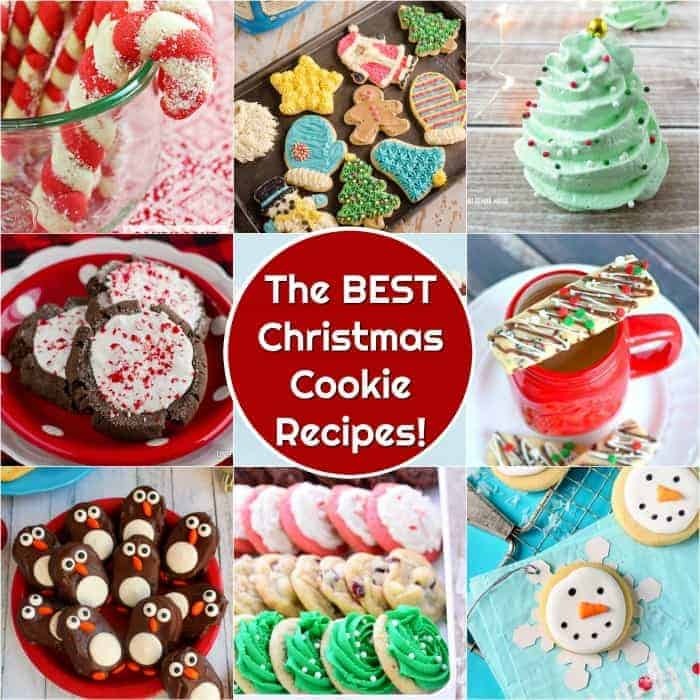 Looking for some other Great Christmas Cookie Recipe ideas? I’ve got just about a zillion for you! 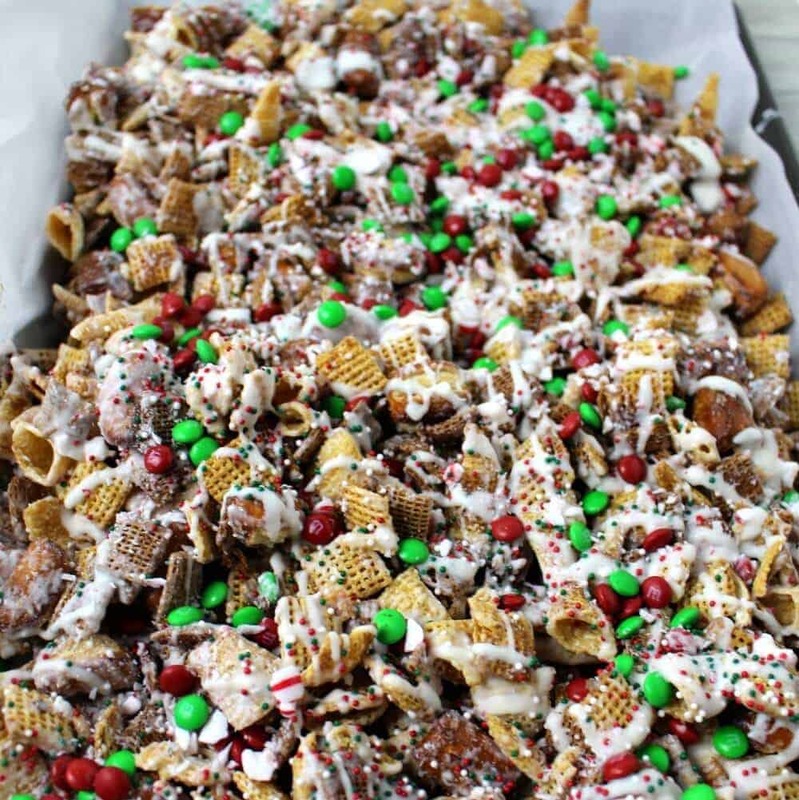 Also, check out the Chex Mix Christmas Crack recipe! It is so good, you will be addicted!